First up is meditation/prayer. We’ll talk about bible study next week. I thought about how to address this topic of meditation, and decided just to jump in with how I do it, with the tip that there is no wrong way to meditate, and that what works for me, may or may not speak to you, but that I strongly encourage you to just start with what I say here, and then you can make adjustments based on your preferences/personality/relationship with God as you move on. The first thing to consider is where this is going to happen. I feel strongly that we need to be alone when we are trying to come into the company of God. I know, for myself, I feel too self-conscious and distracted when other humans are around to meditate. I wouldn’t say it’s impossible, but very difficult. So I go downstairs into a spare room in the basement and lock the door. I like to have a quiet house when I meditate, it’s just easier for me to focus when I’m not worried about what that crashing noise was, or what mess I’m going to find when I go upstairs. So I either wake up before anyone else, or, more commonly, I wait until my husband goes to work and my kids have left for school. You may have tiny ones at home who don’t go to school, or you may homeschool, or a thousand other circumstances. My point is to try and find a time of day, and a place in the house where everything is quiet and you will not be distracted. Yes, I have a yarn store in my house. No judgements here, right? As you can see, mine is very no frills. I’ve plopped my study bible, a journal and writing utensil, and a daily devotional book on the floor with a box of tissues. I highly recommend the box of tissues. I always bring my phone with me, (you’ll see why in a minute) but I make sure to put it on the “do not disturb” setting. Now, Pinterest has scores of photos of darling little dedicated prayer spaces all decked out with cozy lamps and vases of flowers, but I’m afraid I don’t have time for all that jazz right now. If you do, and you need it to be beautiful, that’s awesome. My yarn is all the beauty I need. 🙂 It really doesn’t take much space at all. Like I said, there are lots of Pinterest ideas of how many creative women have carved out a space in the unlikeliest of places. I think they call them “War Rooms”. Fitting. I have a blanket on the floor, and a scarf to put over my head. That may sound a little unusual to some of us. My friend who taught me to meditate told me that she uses a head covering, so I tried it and I really love it. For some reason, it really helps me focus inward and invite Christ into the center of myself. Try it, you may love it too! On to the actual meditating. I can sometimes just start repeating my invitation (more on that in a minute), but often, my mind is too busy and occupied with life and I need something to quiet me. For these times I use music. I have used hymns, music that I’ve heard at retreat, soft Christian music, the possibilities are vast. So once I’m quiet, I start repeating what I call my invitation. Others call it a mantra. It doesn’t matter what you call it. I found my perfect invitation by using an app. I know that sounds so dependent on technology, and kind of distracting but this app has really helped me! 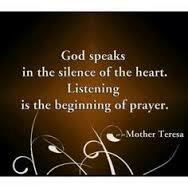 It’s called Centering Prayer and I love it. You get to choose out of many opening sounds, and then you choose an invitation (they call it an opening prayer). My invitation is “To you, O Lord, I lift up my soul, my God, in you I trust…” If you would prefer your mantra or invitation to be shorter, just choose a word or phrase that you feel invites God to be with you. That’s what we’re going for here: The Presence of God. After you have repeated your phrase/mantra/invitation and you feel the presence of God, you are ready to be still in His companionship. On my app you can pick the amount of time of your silence duration before the ending sound goes off. During my silence time, I pour out my worries, my confusions, my joys, my darkness, in short, I speak to the Lord as if He were right in front of me, for in truth, He is. He’s even closer. He’s in my heart. Many times I cry, because life hurts, and God strengthens us through hardship, this is where you want your tissues. If you have a prayer request journal, now is the time to open that up and pray for the people in your world who need His love and healing power in their lives. This is also the time when you could do a visualization if you wanted to go that direction. I use these on occasion when I am really staggering under the weight of something big. So to my mind this next step is where meditation differs hugely from prayer. You are in God’s company, right? You’ve taken pains and time to get here, so take many minutes and be silent and let Him answer your questions! This is where He heals! This is where He clears up confusion! This is where He gives direction! He may tell you to take better care of yourself, He may tell you to forget yourself, He will tell you whatever will lead you to your greatest peace and potential! And please, please, write it down!! That is what your notebook and pen are for. My app will set off my closing sound, and I rejoice and give gratitude to God for His mercy, love, and communion with my soul. There is a closing prayer on my app, and I’ve chosen The Prayer of St. Francis. It has been a favorite of mine for years. 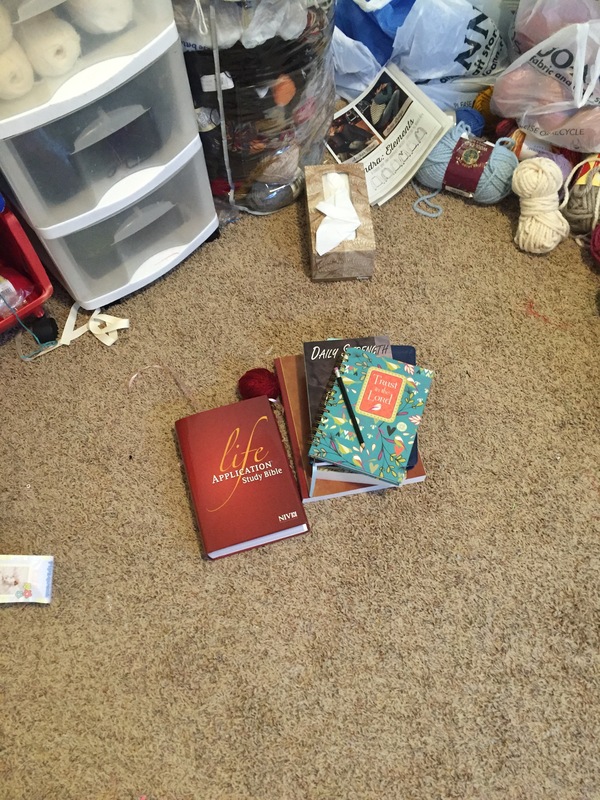 Over time, I’ve added little quirky things, for instance: after my meditation is officially closed, or sometimes before, while I’m praying, I will open my planner and review my mission statement where I’ve written the most important principles that I’ve chosen (with God’s help) to guide my actions. It really helps to see them written out and think: “oh, yes, I’ve committed to acting with compassion, to be honest always, etc…” That daily reminder really cements things in my mind and keeps them from being forgotten. You could also review your calendar, see if God has any inspiration for how to spend your time, he may bring to your mind people who need your love and a small act of kindness that day. You are now armed with God’s direction for your day. You have spent part of your day with God inhabiting your soul, and you are strong in the Lord! You know what he wants you to do, it is specific to you and your circumstances, and it will change with each day!